Yes, I am finally home from The Bahamas, and I had been going to share some of my experiences there, but the Barbados Horticultural Society Garden Show was on this weekend, and as I was away on Saturday, I thought that I had better visit on Sunday, the last day. My friend David was in from St. Lucia, so Ian was happy, (he was spared the experience), and we drove to the show early in the morning. And a good thing it was too, the heavens opened up in the afternoon and it would not have been a pleasant experience. David taking a photo of the Bismarck Palm, Bismarckia nobilis, my favourite palm, (and his too)! These two beautiful Clerodendrons were right at the entrance, one a shrub, and the other, the “Bleeding Heart’ vine. This is not a ‘garden’ show like Chelsea or Canada Blooms, no display gardens to visit, but they had some lovely plant, veg and flower displays in the buildings. And certainly lots of plant vendors outside, you could find almost anything you wanted. Although I am greedy, I restrained myself, the terrace is not that large, and I am sure Ian appreciates being able to walk around it, so I just purchased a few herbs. I loved how a lot of the cut flowers in the competition were displayed against a black background, it certainly set them off for photos. Such great colours in the hibiscus. the plant hybridizers have certainly been busy. it makes me want to go out and buy a ton of orchids, of course Ian would kill them while I am in Canada, that would be a problem, and not to be able to bring them back, would break my heart. I am sure that Barry would appreciate this table more than I do, maybe next year he can be here for the show. And look at some of these lovely varieties, maybe when I return home, I shall purchase some of these. I love the combo of dark and light, had a black and white garden, dogs, and bedroom when I lived in Kingston. I can envision all kinds of floral designs I could come up with around this flower, Strelitzia Nicholai. however, driving back and forth every weekend between Toronto and Kilbourne Grove, made them very impractical for that lifestyle. But when I am retired…. But, in my mind, I have saved the best for last, the floral design. Although there were a lot of beautiful arrangements, I loved the all green. When I was designing, you arranged your greenery first. There are so many beautiful ones,the arrangement could be wonderful on its own, sometimes I didn’t even want to add flowers. The MIL is visiting, so I am (desperately) searching for things that I can see and do with her. The beach had filled a lot of days during the week, but a car this weekend allowed us to get around the island and see some sights. We had been advised by lots of people to see St. Nicholas Abbey, it is listed on all the tourist websites, so on Sunday, we finally made the drive. 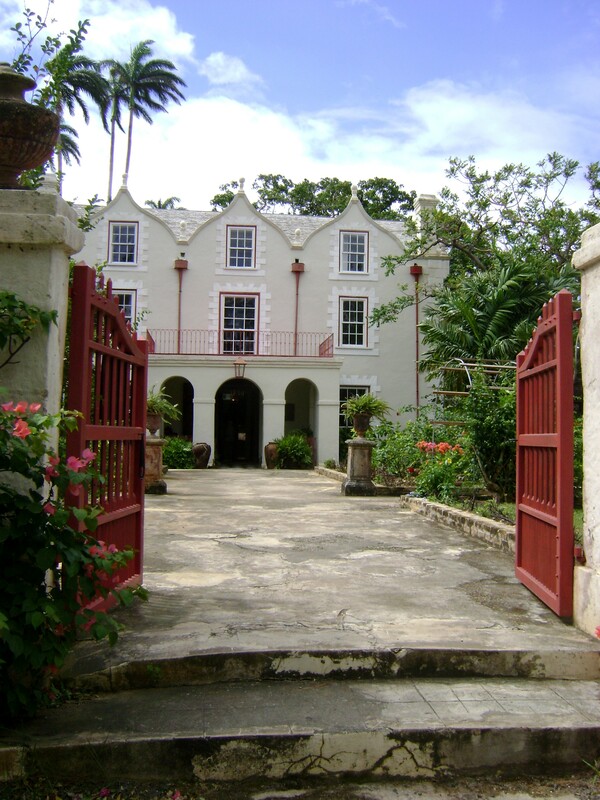 It was built in 1658, and is one of only three Jacobean houses in the Western hemisphere, the others are Drax Hall (also in Barbados) and Bacon’s castle in Virginia. 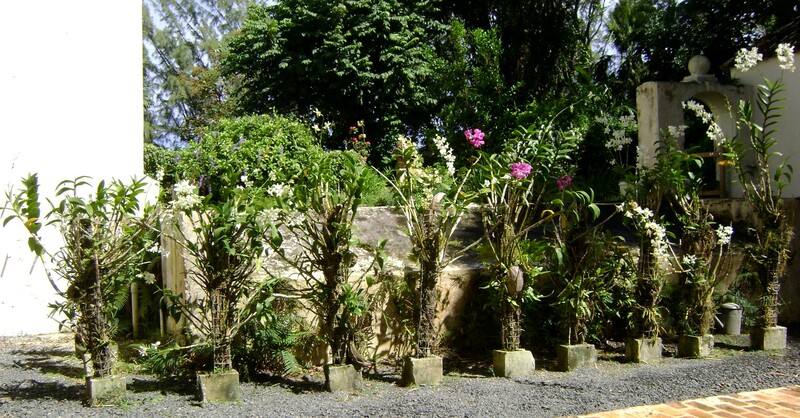 SNA (as I am now calling it), is one of the islands oldest surviving plantations. The plantation is over 400 acres of sugar cane, and has a huge number of mahogany trees. When we were there, I was talking to an employee about the trees, he had recently cut up 200 dead ones, sawed them into planks that were stacked in one of the barns. The plantation has nothing to do with a church but the name comes from owners who combined ‘Nicholas Plantation’ (the original name), ‘St. Nicholas Parish’ (where the brides family lived) and ‘Bath Abbey’ (where they were married). I love to read how other people came up with their house names, reminds me of how we came up with Kilbourne Grove. This is such a beautiful house, very airy and bright. 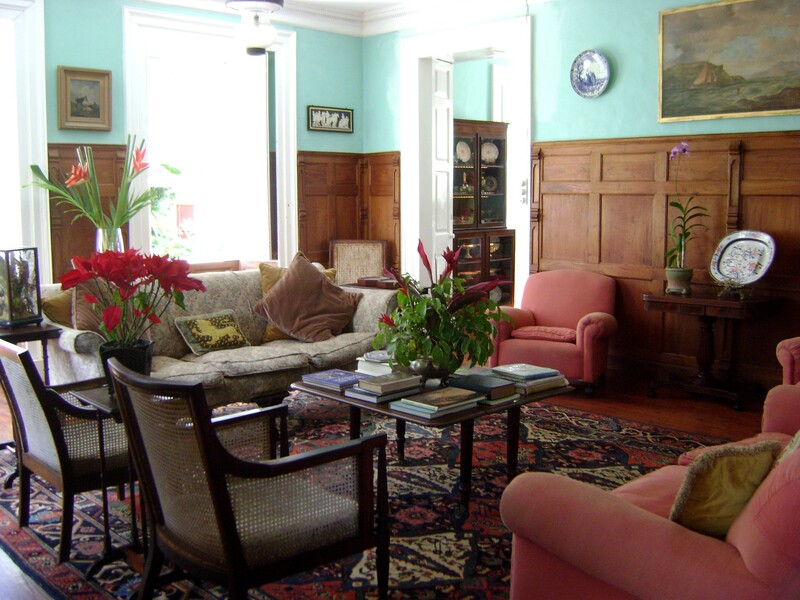 The Drawing room’s cedar panelling was added in 1898 to protect the house from dampness and is oiled once a week (I shall have to step up my wood oiling at Kilbourne Grove), yikes! 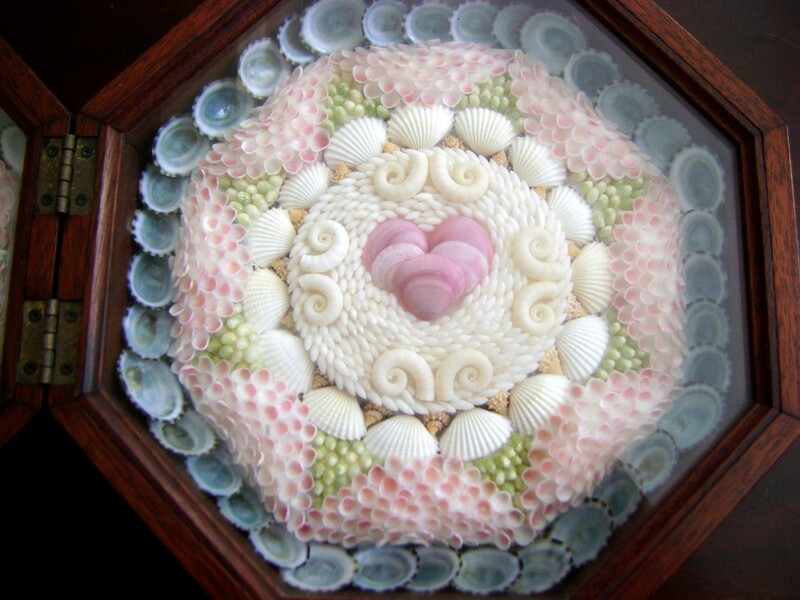 There were a number of Sailors’ Valentines around the room, popular souvenirs from the 1860’s. Amazing how much time they would take, no internet, tv etc. 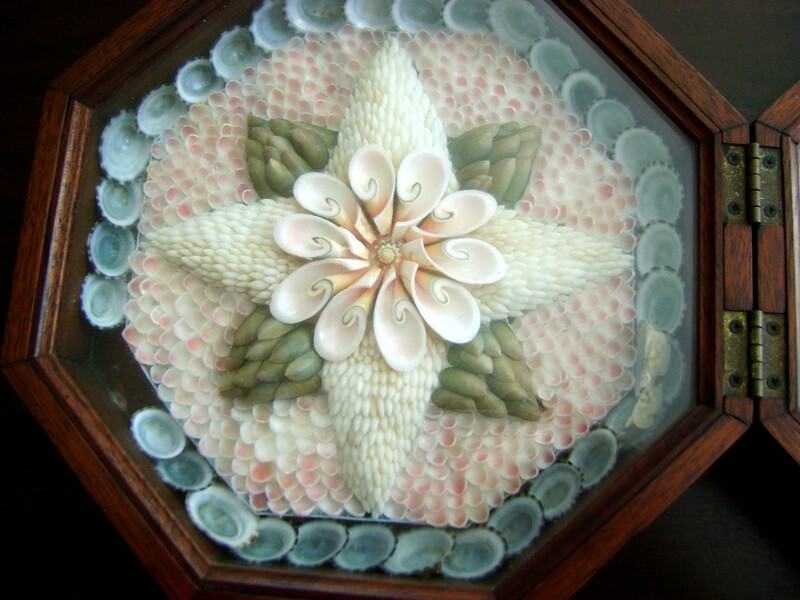 to distract you from glueing all these tiny little shells together. I need one of these! It looks so snuggly. 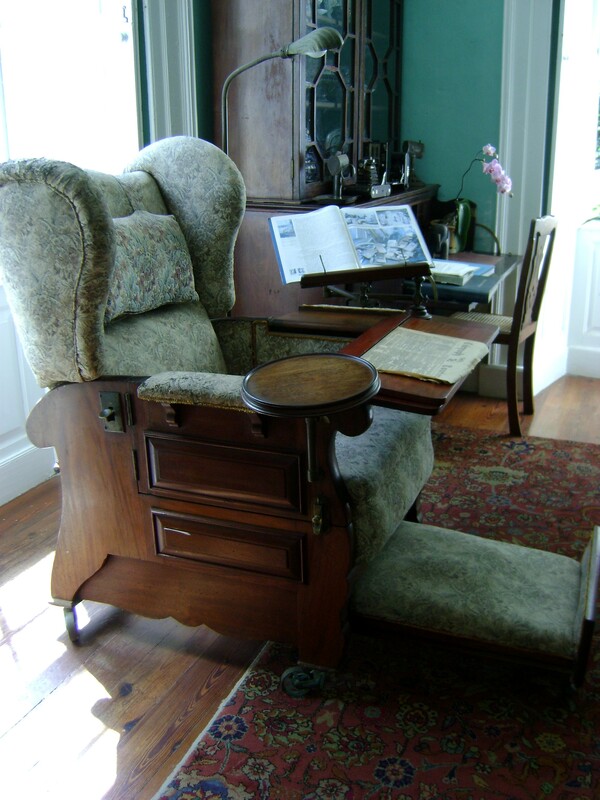 In the Study, the Gentleman’s chair has adjustable tables, a book holder, reading lamp, back and foot rests. All I need is a little bell to call Ian when I need a drink, lol. 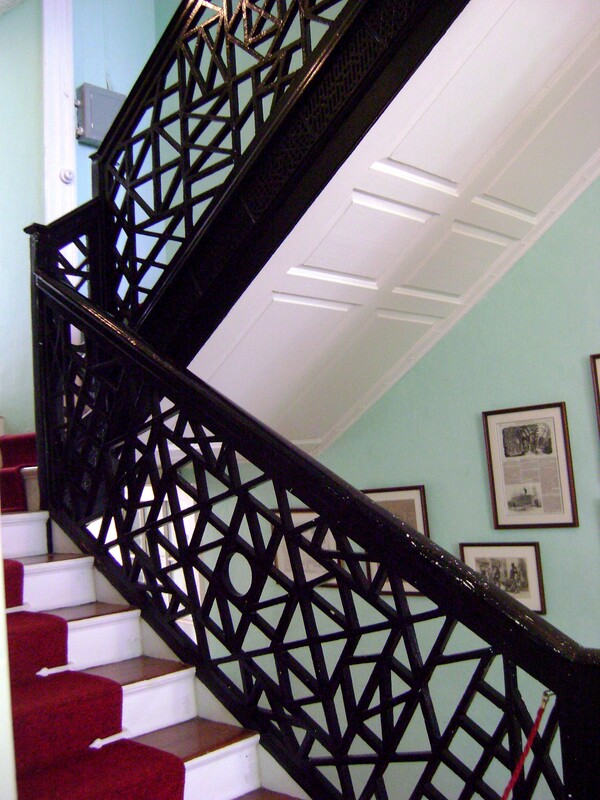 Look at this beautiful staircase. It is chippendale and has a different pattern on each flight, love it. The upstairs is not open to the public, this is where the owners live, so we headed outside to see the gardens. The tree just outside in the stable yard is over 400 years old. 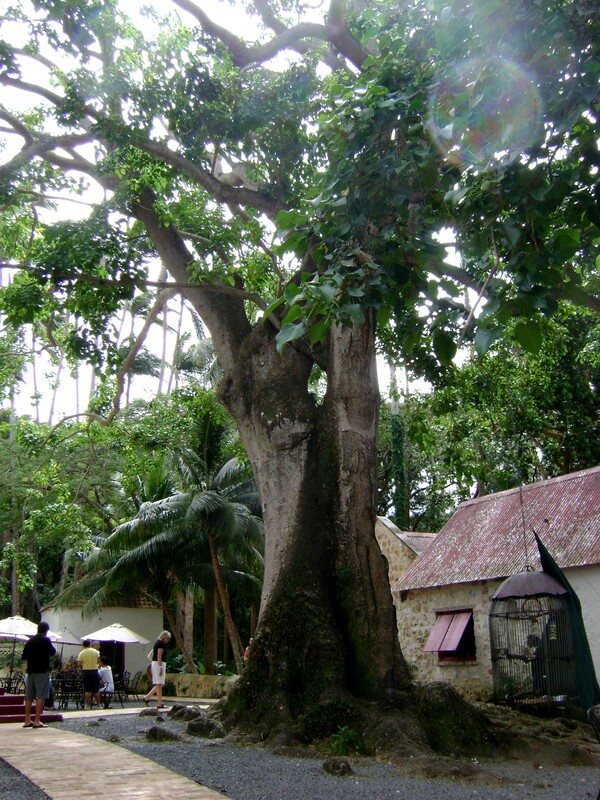 It is a Sandbox Tree, (Hura crepitans) which is indigenous to the caribbean, and it is huge, I couldn’t fit it all in my photo. On the other side of the courtyard, the old stables had been turned into a museum, gift shop, and cafe. As you entered you received a rum punch, delicious, (I was tempted to walk back and forth several times, lol). 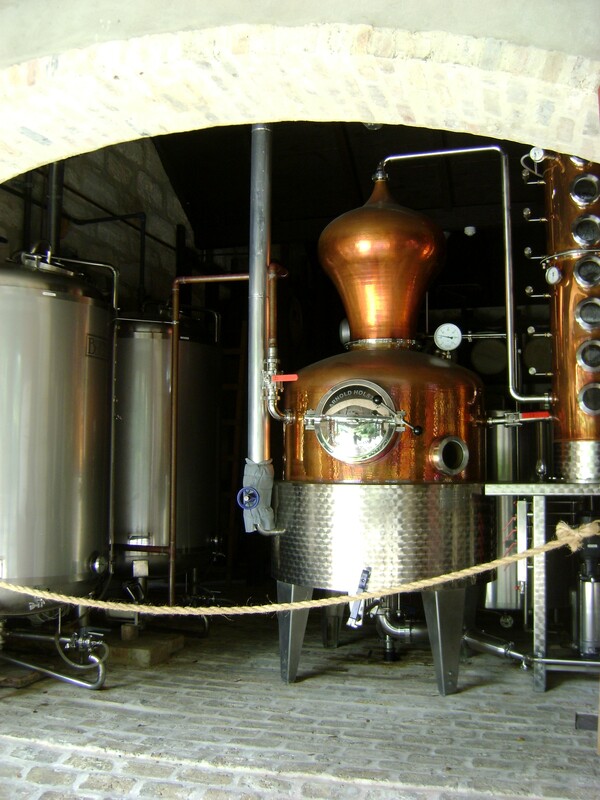 They also have a small distillery where they produce rum in small quantities. I was surprised to find out it is similar to making maple syrup, boiling down the juice from the cane, until it is thicker. They used to do it with a series of kettles, but now have a bit more modern system. 10 tonnes of cane=3000 litres of cane juice=60 hours of fermentation=20 hours of distillation=260 litres of ethyl alcohol=2 barrels of rum for aging=700 bottles of rum after 10 years! Suddenly I appreciate that rum a lot more. 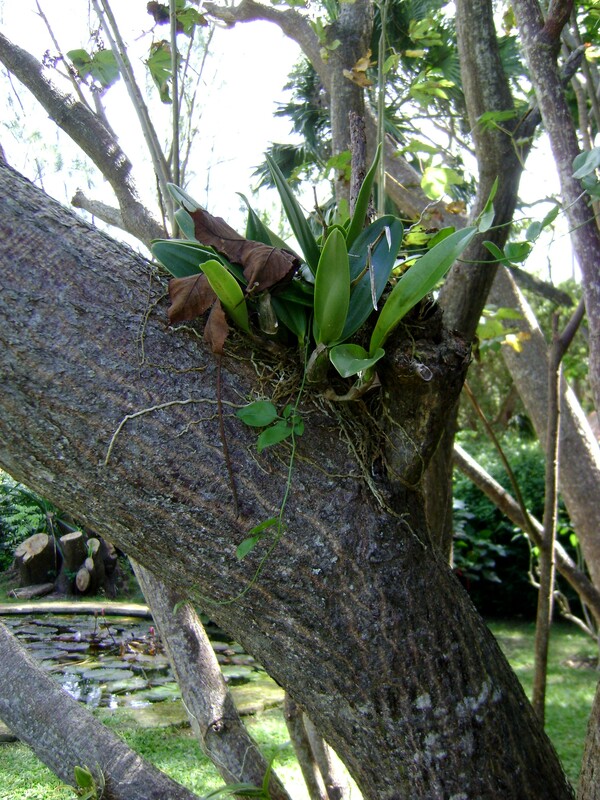 and of course growing in trees. It is fascinating to see how rum was made and what one family has accomplished in bringing this plantation into the 21st century. We sell a lot of orchids at the flower shop where I work, plants as well as cut. One of my favorites is the cymbidium orchid, this is an architectural masterpiece, and the longest lasting cut flower you can buy. A few years ago at Valentines Day, the owner of the flower shop where I work, decided not to sell roses for Valentines Day. There had been some very cold weather in Ecuador, where the majority of our roses come from, and the quality was just not great. 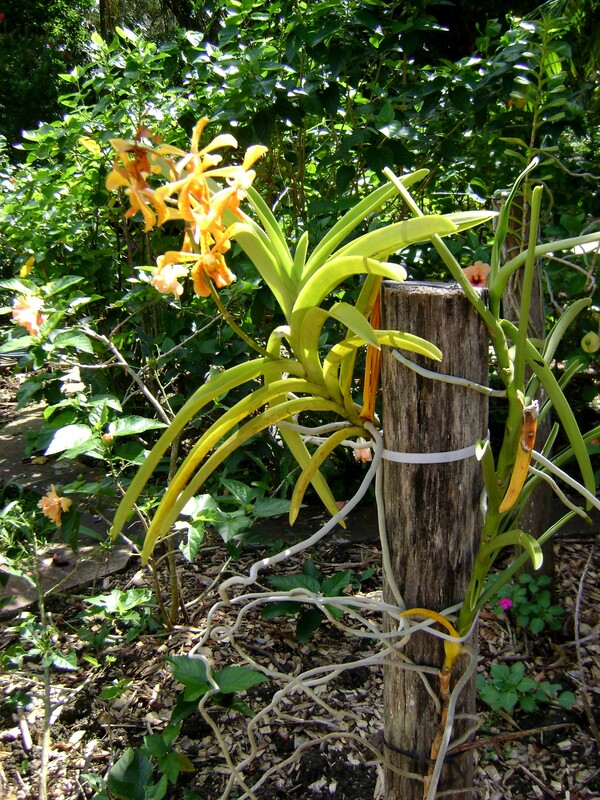 Since we stand behind the quality of our flowers, we decided to sell orchids instead. 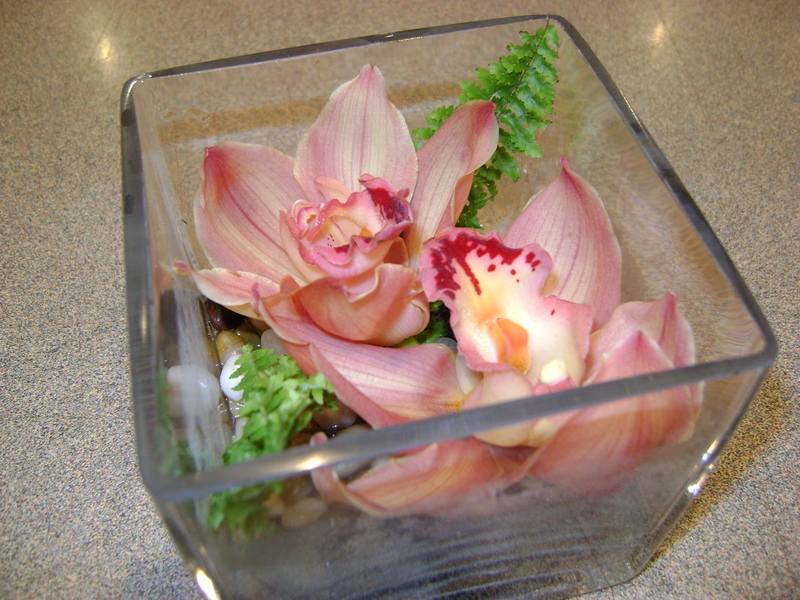 Our special was a boxed cymbidium with exotic greens and a vase. It was nail biting time, would we lose a ton of business because we were not selling red roses. 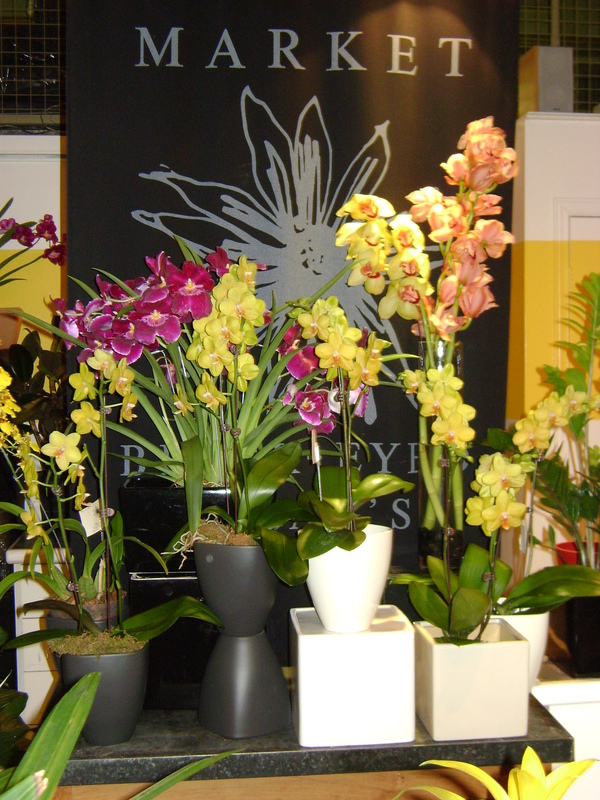 Well, we had a lot of convincing to do, but the majority of our customers bought the orchid. And we got great feedback from them, on the longevity of the flower as well as a lot of grateful women pleased they were not getting a dozen red roses AGAIN! The following year, we had tons of pre orders for the cymbid again, and we never looked back. This is just one of the arrangements that you can make with a cymbid. When the lower flowers have finished and you are just left with one or two blooms at the top of the stem, you can make these lovely little arrangements. they are great for a bedside table, powder room or you can make multiples and string them down your table. 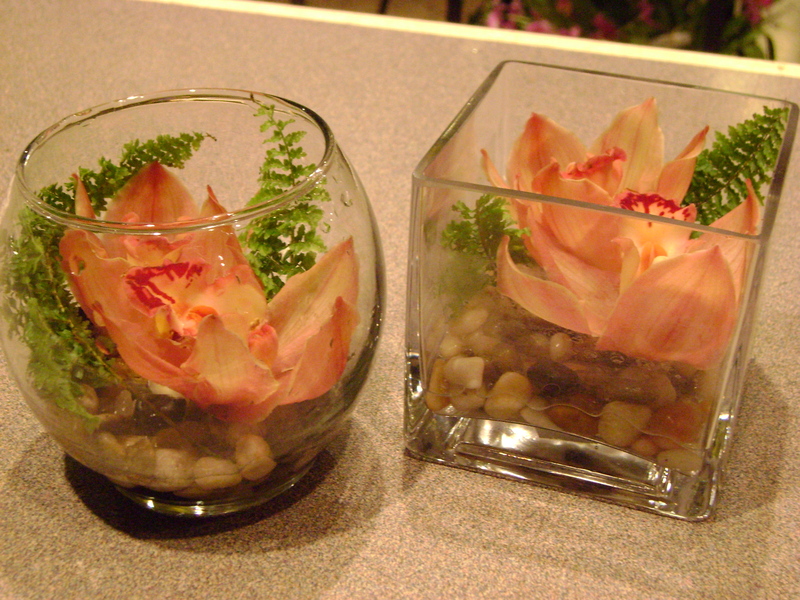 You just need a small vase, a few stones in the bottom and a minimal amount of water, just enough to cover the stones. You don’t want the blossom in water as this will rot your bloom, but be sure to keep an eye on the water level. 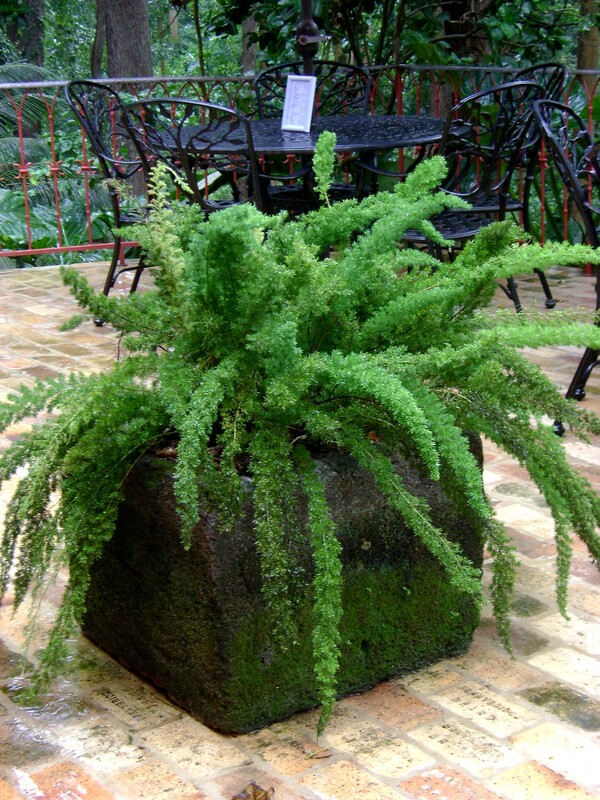 Cut your stem short and use a bit of greenery, these are from a fern but lily grass is another favorite. These arrangements should last a week to 10 days or even longer. A stem of cymbid is well worth every penny, try one, you’ll like it. When I was posting the blog about arranging peonies, I found this draft. I had totally forgotten about it and even though it is out of season, I thought that you might be interested in having a look. We had a large installation at work this spring, this is one of the first pictures I took on my new digital camera. Unfortunately, someone moved into the shot just as I was taking the picture, but you hardly notice the black arm. It may not look that large close up, but trust me, these were big and very heavy, getting them up on their pedestals was a definite workout. My husband is always amazed at how strong I am, it is all due to heaving around large and heavy buckets/vases of water. 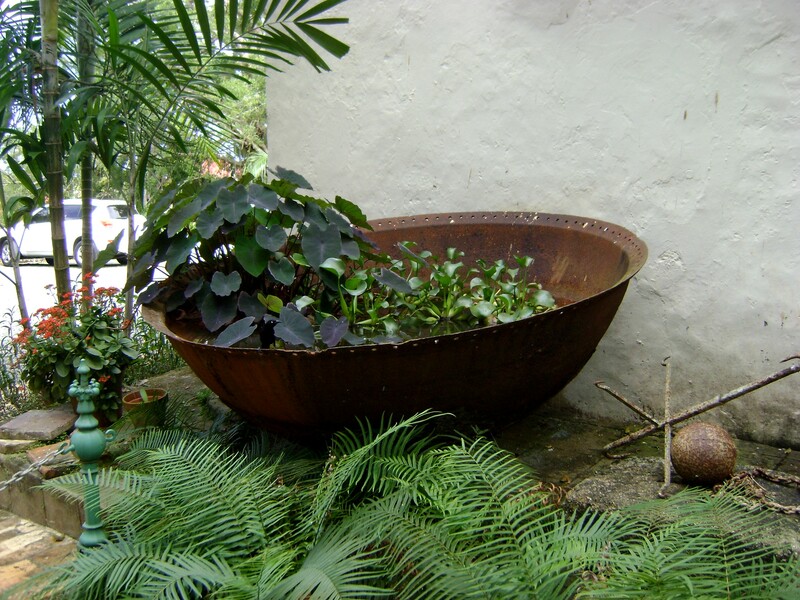 I love arrangements that are composed of only one or two elements. I think it is because I have been a florist for almost twenty years and mixed arrangements have been in style for most of them. This is definitely an arrangement that I would have in my house (only not quite so large), I doubt that I could fit it in the front door! In case you are not sure what the flowers are, the tall branches are forsythia and the gold flowers with the red chin are cymbidium orchids. If you have the room, do yourself favour and plant a forsythia. I would plant it in an out of the way spot, where you wouldn’t see it on a regular basis, perhaps behind the garage. It needs to be out of the way, because you are going to cut and force the branches in February every year. Just make sure it is sunny, so you set a good amount of flower buds. 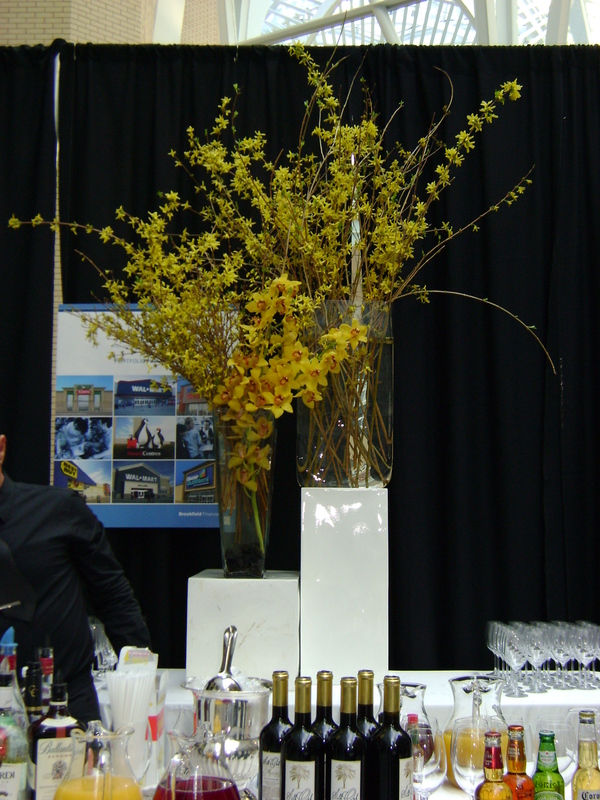 Nothing says spring like an enormous vase of forsythia!